A 15th century venue for a very modern research conference! 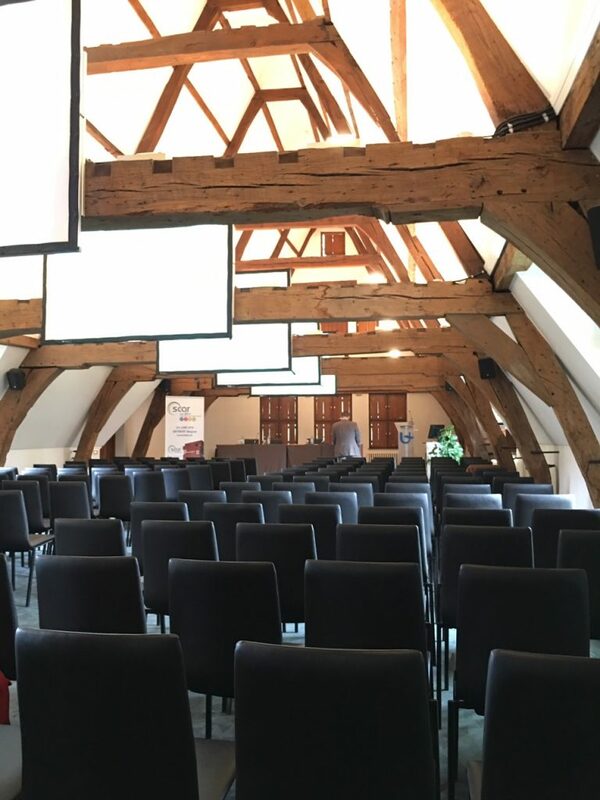 This June, people from around the world gathered in the beautiful city of Antwerp for two days of presentations, workshops and discussion on the latest scar research and therapies. SCARCON 2016 coincided with the fifteenth anniversary of Oscare, a non-profit burns research and rehabilitation service based in Anwerp which organised the international conference. Restore was proudly in attendance and Restore’s Indira Yonjan delivered a presentation focussing on scarring following burn injuries. Hot topics this year included dermis hydration and the physiology behind why reducing the tension on scar tissue can prevent the development of a hypertrophic scar. Other areas discussed included laser treatments, microneedling and improved objective outcome measures for scar research.